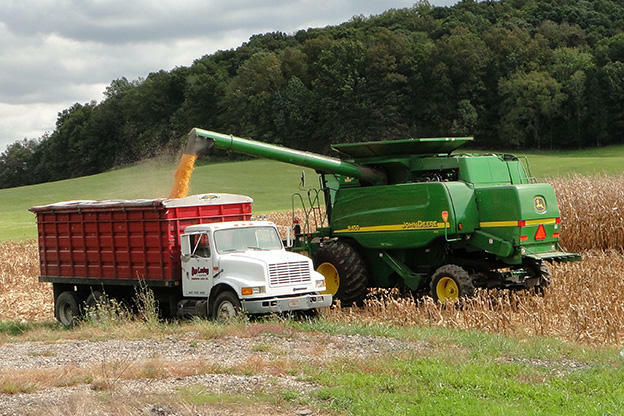 The Trans-Pacific Partnership would open up more overseas markets for American farmers. President Trump directed trade officials Thursday to look into rejoining negotiations for a major trade deal with eleven Pacific Rim countries. And, experts say it could be good news for Indiana. The Trans-Pacific Partnership is designed to open up free trade between the countries involved, making them less reliant on China. Trump pulled out of the deal as one of his first acts as president last year. The Indiana Farm Bureau is applauding his decision to reconsider. Director of National Government Relations Robert White says it could help alleviate some of the financial pain farmers are feeling as a result of back-and-forth tariffs with China. “The upside of TPP would be to gain additional markets for exports,” White says. Indiana University Kelley School of Business Professor Andreas Hauskrecht says Indiana agriculture would clearly benefit from the TPP. But, he says the trade deal would be about more than money for the U.S.
IU Assistant Professor of International Studies Sarah Bauerle-Danzman says it’s important to be cautiously optimistic about Trump’s announcement. She says just because he’s considering entering negotiations to join the partnership, doesn’t mean it will happen. She says mixed signals from the administration could cause problems. “I’m concerned that some U.S. positions around labor standards, environmental standards and intellectual property protections, we may not get as much as we want in the agreement now if we would have if we stayed in the negotiations and not be seen as a fickle partner,” Bauerle-Danzman says. She says if negotiations are successful, Indiana’s manufacturing industry could also benefit from the agreement. But, that also depends on how the negotiations move forward. Bauerle-Danzman says the U.S. would be at a disadvantage if it has to agree to new terms. Eleven other countries moved forward with ratifying the trade deal last month.